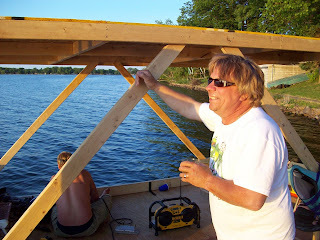 We strapped a 9.8hp outboard on it and motored around Diamond Lake. All systems are go. 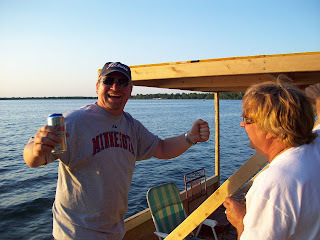 We picked up some folks and had a few drinks to christen the raft. And soon enough we'll have the electric motor system ready to go. Next weekend we'll be cruising on diamond with electric power! monson you need to stop drinkig so much and update this web page.